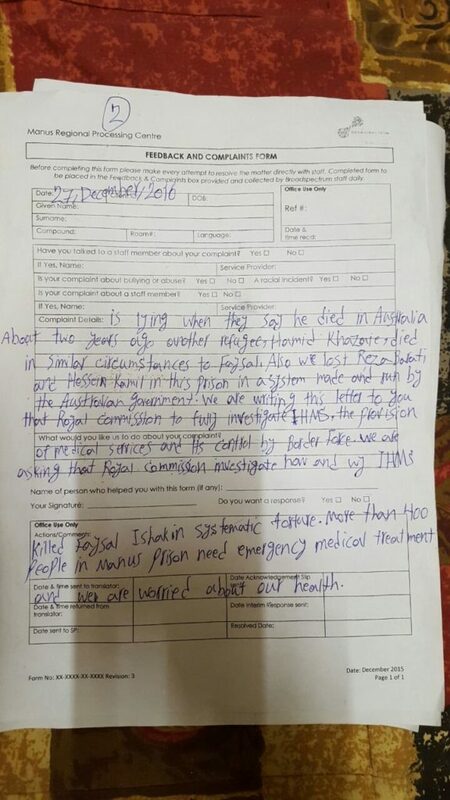 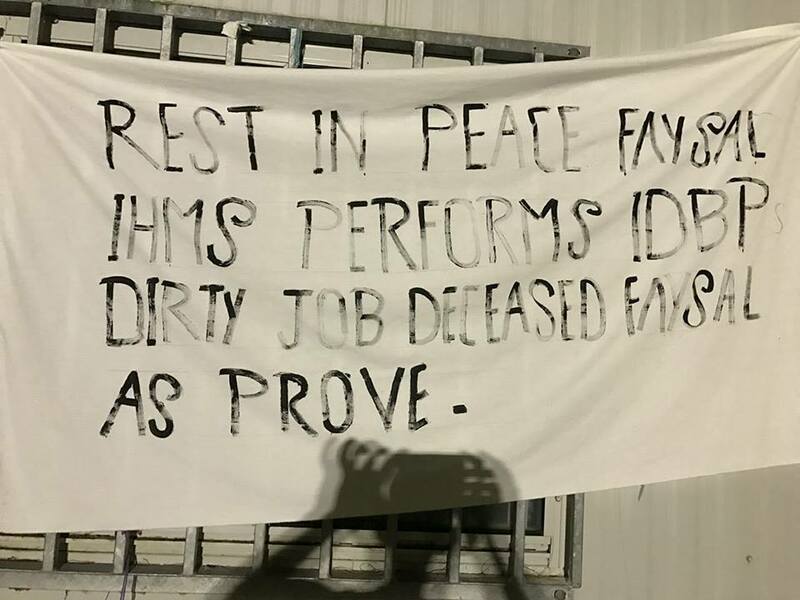 Behrouz Boochani’s reports on the deaths of both Hamid Khazaei and Faysal Ishak Ahmed highlight the systemic failures and willful medical neglect that led to their deaths. 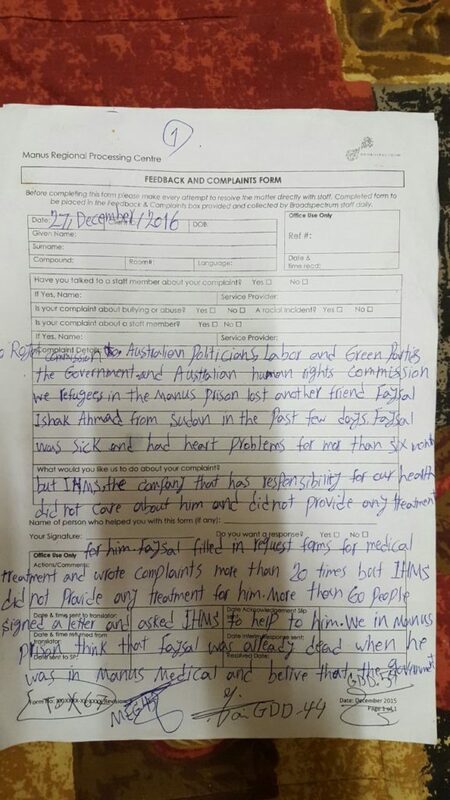 Following Hamid Khazaei’s death, former Minister for Immigration, Scott Morrison stated that he had received ‘outstanding‘ medical care. 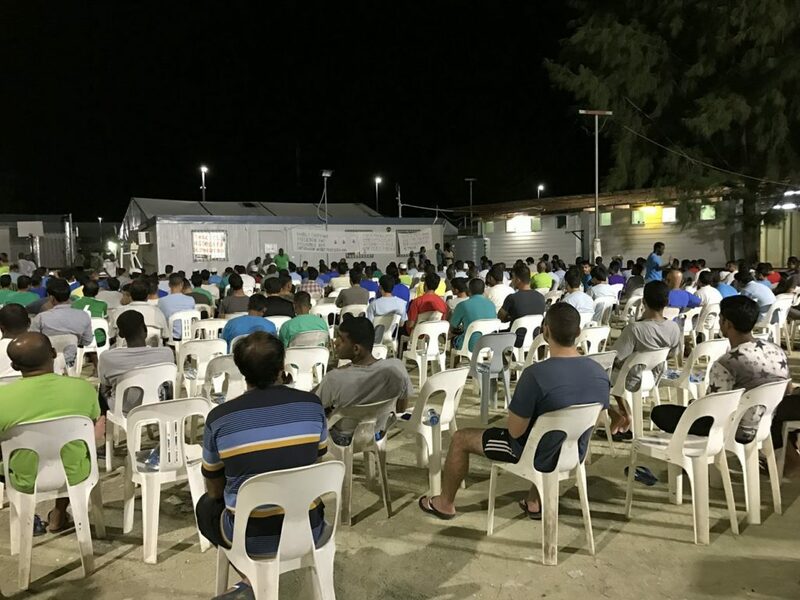 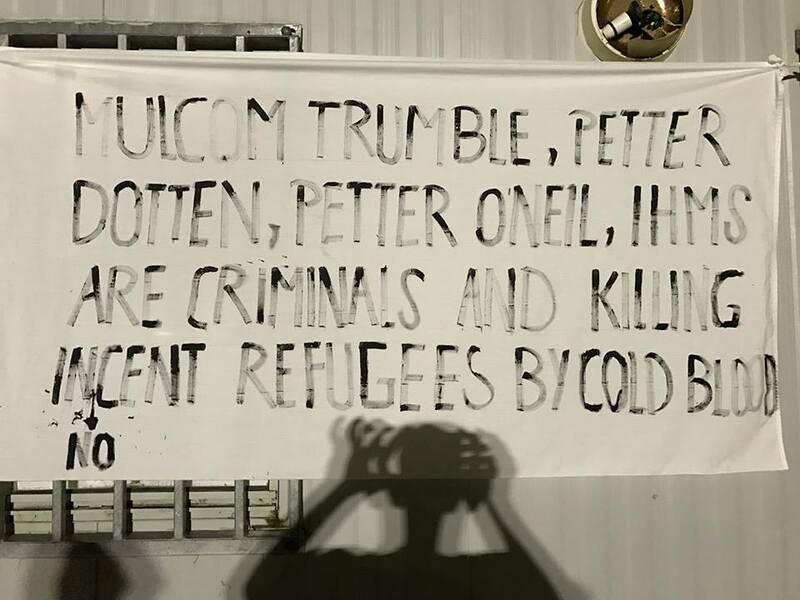 At the end of 2016, the Australian Medical Association (AMA) submitted evidence to a Senate Inquiry detailing multiple cases of medical neglect and ill-health of asylum seekers on Manus and Nauru.